Bulle MOLLE drop leg panel assembly with double rifle mag pouch. Pouches and panel is made of genuine Duro milspec 1000D Cordura printed in authorised Crye Multicam camo. 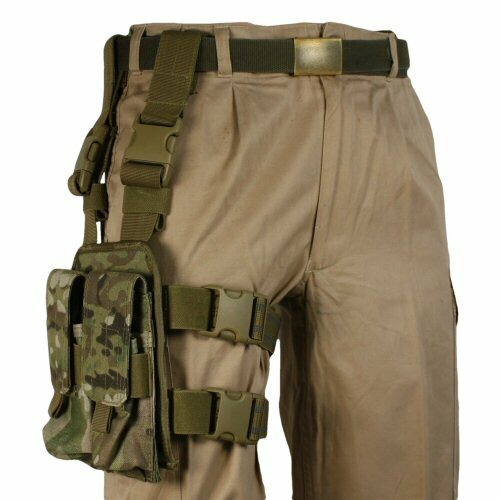 The panel fixes onto the belt with two keepers and around the leg with two thigh straps. 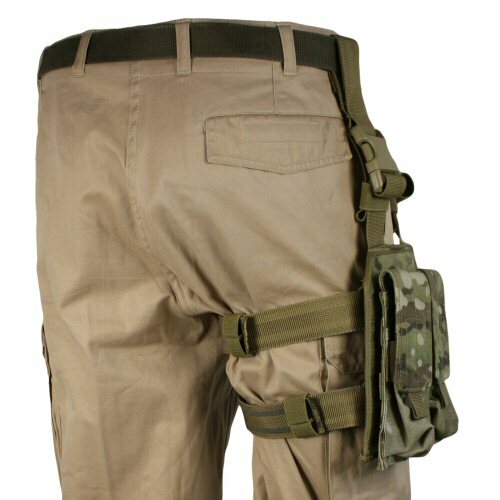 The pouch has two pockets mounted in a low profile configuration, suitable for holding two M4 magazines, one M14 or G3, one AK or one G36 magazine in each pocket. The lid closes with velcro and the pouch body additionally secures the pouches with elastic. 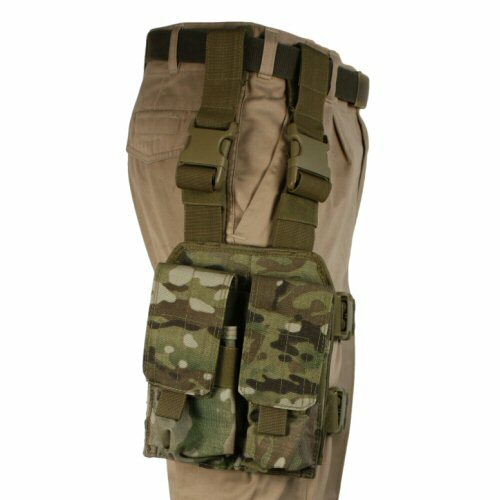 Fully MOLLE fitted so the pouches can be removed and reconfigured depending on the activity. The panel is ambidextrous, and can be re-fitted for left or right leg as the straps are removable with velcro fastenings. Quick release buckles are high quality military specification UTX Flex Stealth buckles for high performance in heat, and quieter release. Front angled view of the pouch, showing the low profile. Angled view of the pouch fron the rear.